What’s inside my bag? A complete list of the Gear Jeff uses. What’s the best digital photography gear for landscapes, wildlife, night-sky & winter action photography? Over the years, many have asked me just that. These pages have been created to answer the question of what I have found to be the best photography gear for my nearly 40-years of wildlife, landscape and winter photography work. First let me say that good photography is much less about the equipment (the science side) that is used, but rather the eye of the person using it and that person’s creative ability (the “Art” side). All the best gear in the world cannot make you or I a better photographer. Period. That said, better gear may get me or you better “quality” images that will reproduce better or a “unique technique” that can only come from better technology. But in my mind, it’s all about the composition—the “Art” side of photography. And just so you know, I have not tested out a ton of gear. I read, I use and I keep what I like. While I shoot Canon cameras and use mostly all Canon lenses, that is not because I know Canon to be superior to other brands, it’s simply what I like and I know it to work for me. BTW— I do not recommend any gear that I do not use myself. DISCLOSURE: I use all of the gear and/or products recommended here. Many of the links below are “affiliate links”. Meaning, at no additional cost to you, I will earn a commission if you click through from this blog and make a purchase. By doing so you will be helping support me and the blog. THANK YOU FOR YOUR SUPPORT. Feel free to share this link with others. Don’t use front lens caps ! – They are useless to me. Spend too much time trying to find them, no need for them. The lens really does not need that much protection. 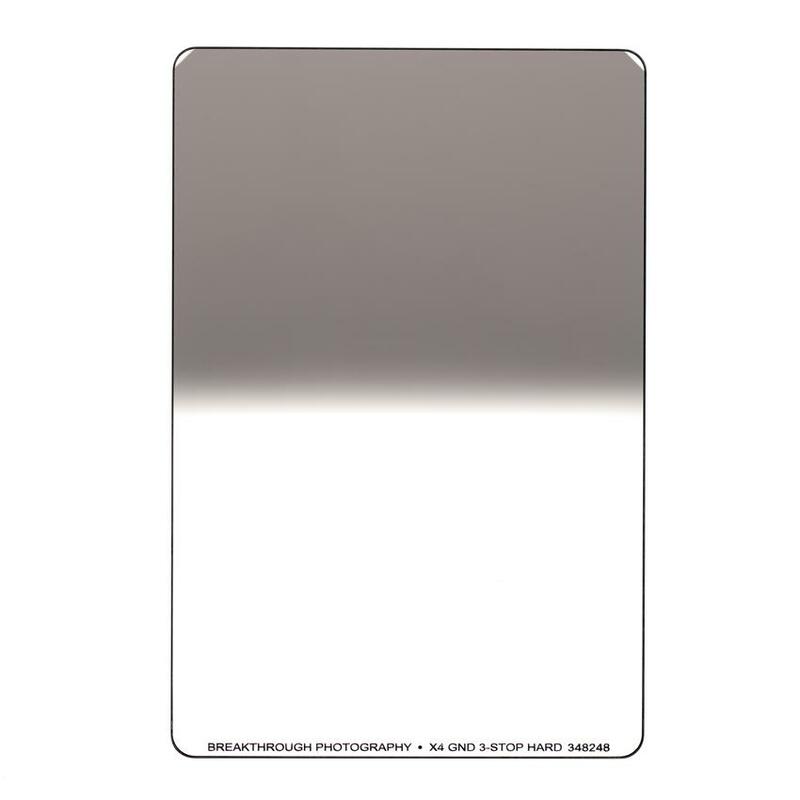 Don’t use a UV or Skylight “protective” filter. It’s just one more degrading optic in front of the lens. I’ve spent too much time unscrewing them when I want to use other filters or holders. And then can’t find the filter when I want it. The front element of the lens does not need that much protection. In my 35+ years as a professional, I’ve had dozens of lenses which I’ve treated like tools–poorly. In all that time only one front element had to be replaced because it was scratched too much. Wear a photo vest – When the action is happening, I want to be behind the camera — not looking for where I left my pack or bag for what is needed. In my vest I have all the essentials. Filters, extra lenses, remote release, lens cloth, extra batteries and more. I can shoot faster and better if all my equipment is on my body. See below under “Gear-Carrying Products” for my photo vest of choice. 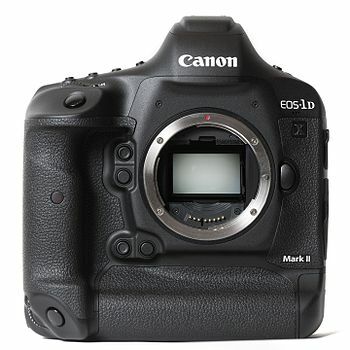 Canon 1D X Mark II: This camera is a real brute by weight, but to me it’s worth it. Full-frame sensor, up to 16 frames-per-second, fast image capture recording and has great high-ISO resolution. The battery lasts forever in sub-zero weather. I use this for fast-moving wildlife and especially winter outdoor adventure…it’s my go-to camera for the Iditarod. 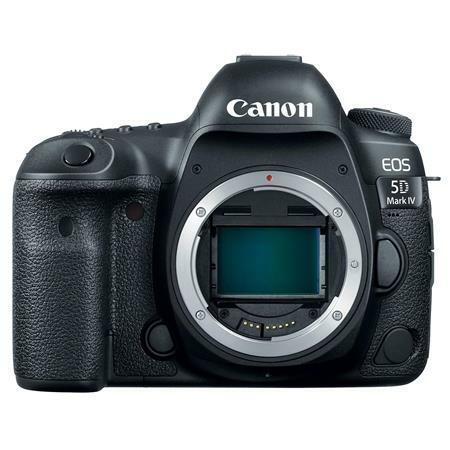 Canon 5D Mark IV – This 30 megapixel camera is the main one I use for nearly everything. This body combined with the 24-105mm f/4 lens is my go-to setup. Full-frame sensor, up to 7 frames-per-second, fast image capture recording and has great high-ISO resolution. I especially like having the built-in intervalometer—wish Canon would put that in all pro cameras. The battery lasts a very long time, provided it’s a Canon brand. I use this body for nearly everything, especially landscapes. A camera body is just a box that has a lot of functionality to it…and an appropriately good or bad sensor. But a good body with poor quality glass in front of it is kind of worthless. Having good glass on a good body is paramount to me. I’m looking for the sharpest image I can make. When reviewing lenses or cameras to purchase, look to the great people at DxOMark — DxOMark is an independent benchmark that scientifically assesses image quality of smartphones, lenses and cameras. Being an independent, I believe this company above any others when it comes to image quality. 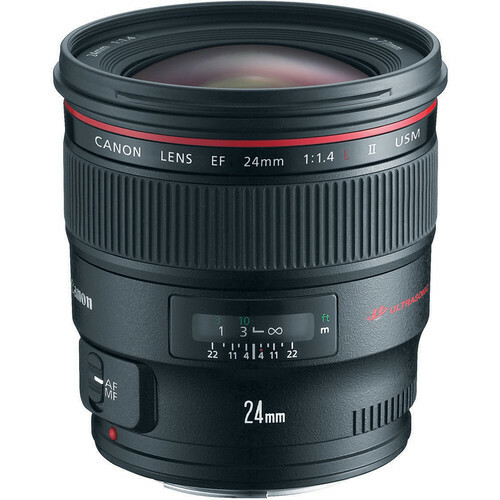 Canon 24-105mm f/4L II IS USM Lens: This is my go-to lens if I had only one lens to take on assignment or vacation. Be sure to get the version II as it’s MUCH sharper than the first. While it’s slower at f/4 than the 24-70mm f/2.8, the extra 35mm’s of telephoto (from 70-105mm) is worth it to me. The IS (image stabilization) is great and it focuses very close as well. 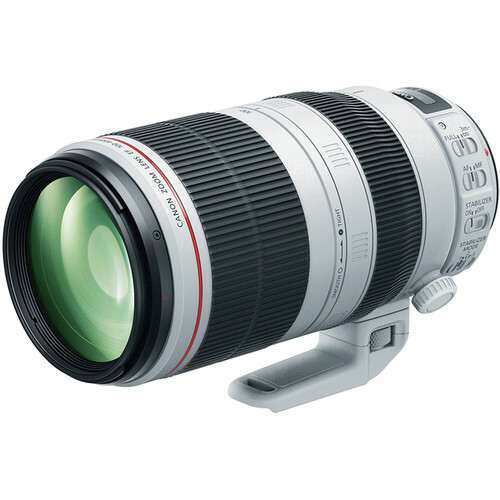 Combine this lens with a small and light-weight extension tube (see below) and you can get crazy macro stuff. 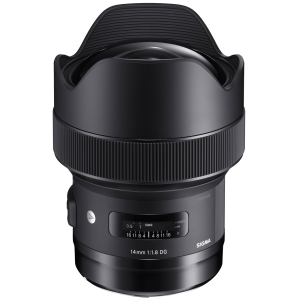 Sigma 14mm F1.8 DG HSM Art lens: As of 12/2018 this is the first and only full-frame f/1.8 ultra-wide-angle lens. I use it almost exclusively for night-sky photography – the Aurora and stars. It’s a very heavy (1,120g / 39.5oz.—2.5 lbs) and very big lens. But it’s as sharp as a tack. 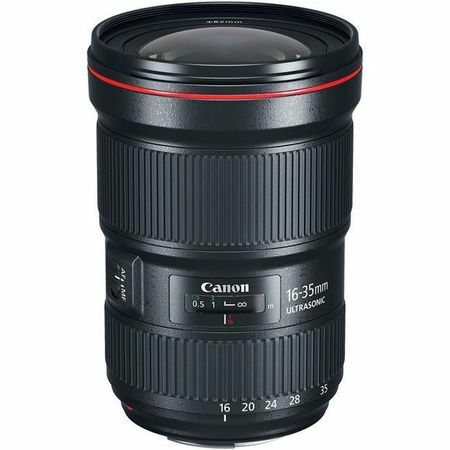 Canon 16-35mm f/2.8L iii I have had a lot of wide-angle zooms over the years. This one is very sharp. I use it in a lot of my landscape photography and at f/ 2.8 it’s also my go-to lens for night-sky photography and low-light on the Iditarod. This lens is a bit big and heavy, but if I’m not packing it too far, I’m good with it. It’s also quite pricey. 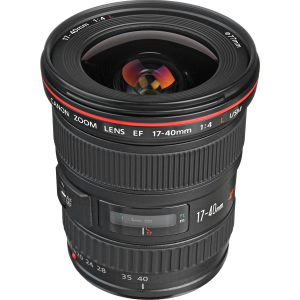 So if price and/or size/weight is an issue, then go for the 17-40mm below. Canon 17-40mm f/4L: Until the 16-35mm f/2.8 came out, this was my main wide-angle lens. It’s sharp and very small and lightweight. A lot less expensive than the 16-35mm above. I kept this lens and now use it mainly when I go for long hikes and can’t handle the weight of the other. Canon EF 24mm f1.4L: Next to the 70-200 f/2.8, I think this is one of the very sharpest lenses Canon makes. For me it works wonderfully on the Iditarod in low-light situations at night like when the only light is a musher’s headlamp. I also use it a lot for night-sky images. That 1.4 allows me to make short exposures of the aurora to stop the movement. 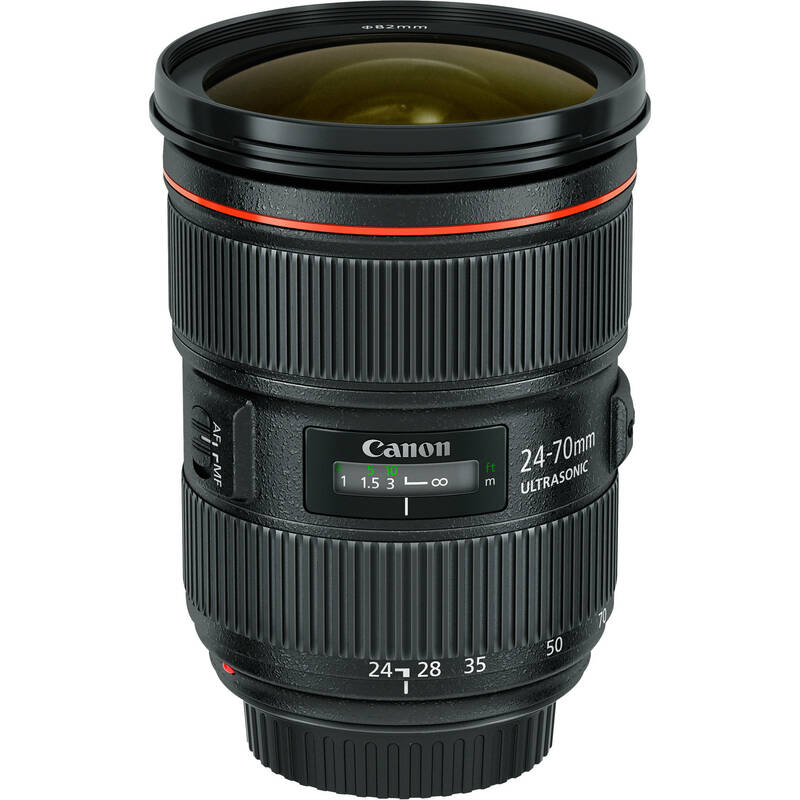 Canon EF 24-70mm F2.8L II USM: I think this lens is actually sharper than the 24-105mm lens, but not having that extra telephoto throw from 70-105mm is the only reason I don’t use this lens more. I love the fast f/2.8 and so I typically use this for low-light corporate shoots and night-sky images. Canon EF 70-200mm 2.8L IS III USM: I believe this is by far Canon’s sharpest lens. I typically shoot assignments and stock with 2 bodies, and this is one of the lenses I have on one of the bodies. It focuses super fast and the image stabilization is superb. The only drawback is its size and weight. It’s big (8” / 199mm long) and heavy (52.6 oz.—3.3 lbs./1490g). 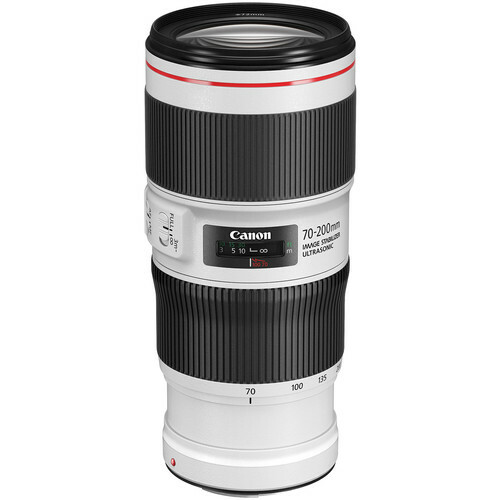 Canon 70-200 f/4 L USM: I have this lens for the same reason I have the 17-40mm above – I use it when I can’t or don’t want to handle the large/heavy 70-200 f/2.8. When I go hiking or using it for portraits, this lens is nearly as sharp as the f/2.8 version. If you get it, get the tripod collar for it, too. Funny that you have to buy it separately most often. 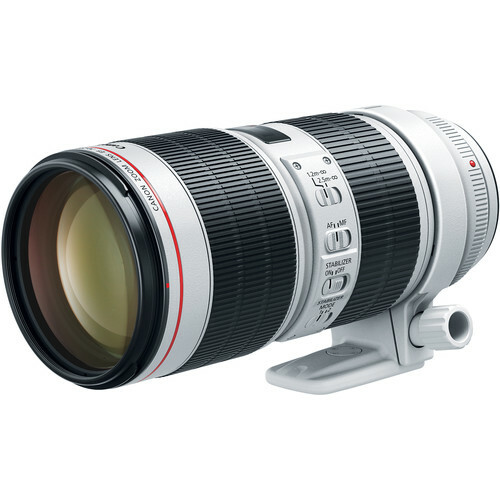 Canon EF 100-400mm f/4.5-5.6L IS II USM: This focal length is great for wildlife. And for what it does, this lens size and weight is quite tolerable. 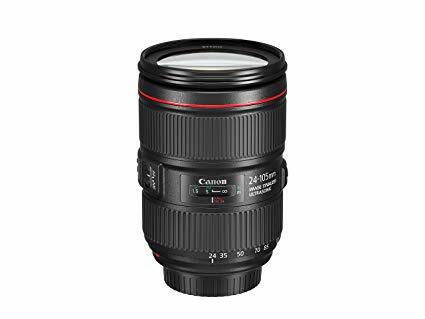 This is my go-to lens for wildlife and Iditarod and even for many landscape images. It is slower, but with the newer sensors, I can crank up the ISO to get decent shutter speeds. And the image stabilization helps a lot for hand-held shooting. 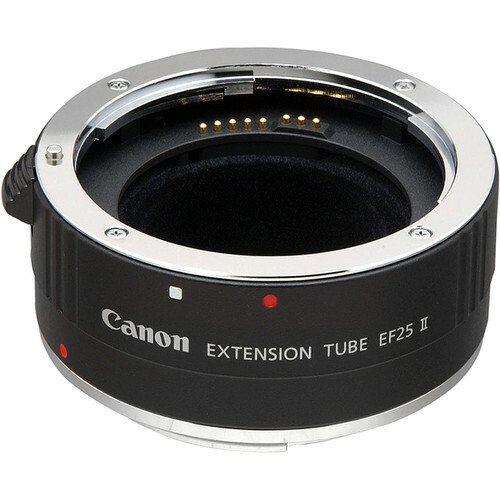 Extension Tube 25 II: (While not technically a lens, I categorize it here anyway). For me, rather than carry a macro lens, I tend to have this extension tube with me and combine it with my 24-105mm lens. This saves a lot of weight and space. I always buy separate legs from the head. I believe most serious photographers do the same. It seems there are not that many tripods which are matched well with the right head that will suit the type of photography you may be doing. Much of how these work best for you will depend on your style and the subjects you are shooting. 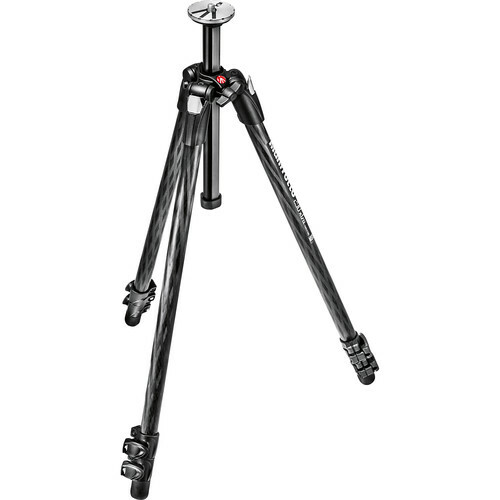 It can take time to find the right tripod. I HIGHLY suggest not getting a tripod that comes with a head. Look for both the legs and head that fit your photography gear. I’ve had the most success with finding the right tripod by going to a photo show or a camera dealer that has a huge selection of them. And trying them all out until I find the one with the best set of features for me. CENTER COLUMNS — Some photographers like to have legs that do not have center columns arguing that extending the center column increases the instability of the legs. I concur, that can make it less stable. But I very much like the center column as it allows me to fine-tune the height adjustment very quickly. And those with certain types of center columns allow me to get lower to the ground than legs without a center column. See below for specifics. LEG LOCKS — I am most often in a hurry when using a tripod, so I’m looking for the quickest & easiest setup I can find. While I know the “twist-type” leg locks work the best over time, I just don’t care for them because they take so long to set up and break down. Therefore you’ll notice that I like to use a tripod from Manfrotto as my main “car tripod”. That’s because SOME of their tripods have a fast, easy “flip-style” leg lock. I absolutely dislike the newer “flip-style” leg locks that Manfrotto uses – the ones that look like wings. I’ve pinched my fingers in them so many times I just had to give that tripod away. But I guess it must be me, because they keep making this leg lock. Tripods in this category are for when I’m shooting from near my car or not going very far. These are for heavier lenses or when I need a real solid tripod, like in the wind. I use these tripods when I will likely be using it while standing up or perhaps when I’m somewhat low to the ground, but not incredibly low. 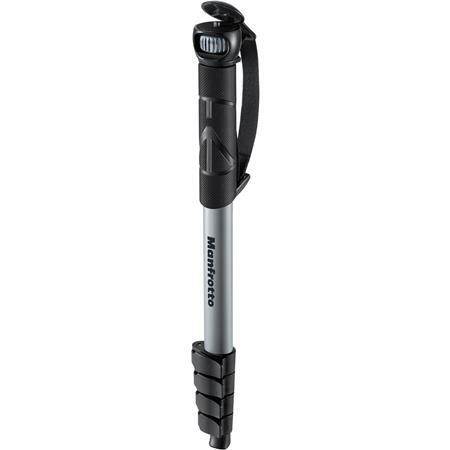 I use the Manfrotto 055XB – discontinued. Can go to 12” low. I like to be able to set up fast and these legs set up and can be clamped down quickly. Going to a low position requires removing the middle column piece. After a while I must re-tighten the leg clamps with a tool as over time they loosen. Has center column so can fine-tune adjust the camera height. Twist style leg locks take more time to setup and breakdown. Tripods in this category are for those times when I want to go extra-low to the ground. Like maybe even so that the camera is right next to the ground. There are also times where I need the legs to be very agile when I put them on very uneven ground, especially around waterfalls and rocks. They are also smaller and lighter so are better for hiking and traveling with. 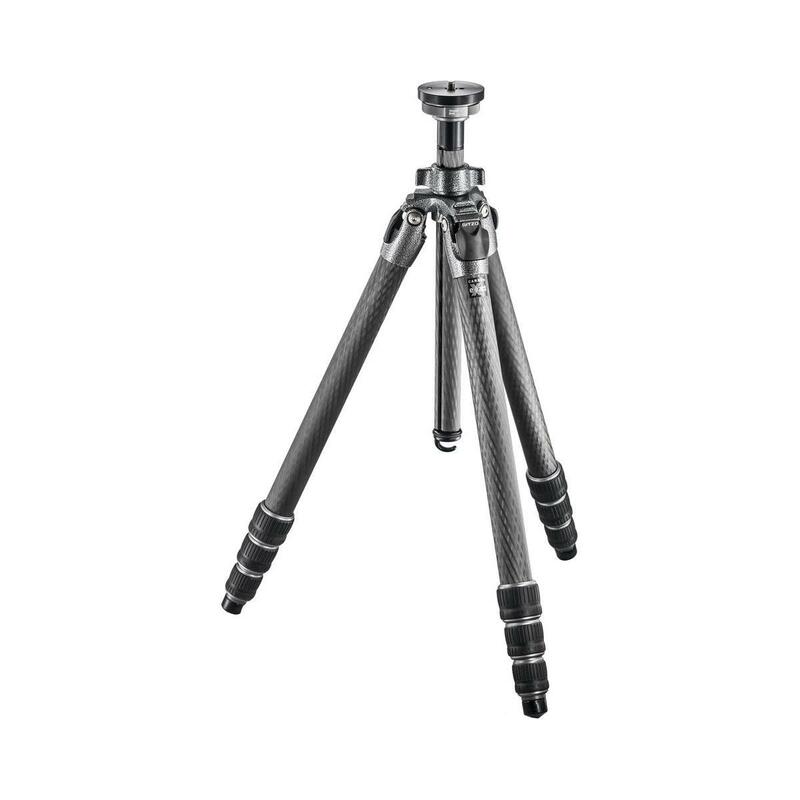 #1 Choice — Gitzo traveler tripod with off-center, low-level column. Discontinued. Sadly this tripod is no longer available. And it’s my most-often-used tripod when off the road. What I like most and dislike most is that I can lock the legs in any exact position I want. Works great for having the tripod at odd angles, especially along rocks and creeks and such. I have not seen another tripod lately that can do all this… so if you do, let me know !! This is a good choice if on a budget and still wanting the ability to go low to the ground. The center column can be moved to a horizontal position getting the camera down for some really low angles. Small and light enough to travel with. I mainly use a monopod for my 100-400mm lens on wildlife and landscapes when I’m on the move and can’t take the time to set up a tripod. Maybe I’m a cheapskate, but for a monopod, which I do use fairly often, I figure even a wooden broom stick will do, provided that the legs lock well and don’t slip. 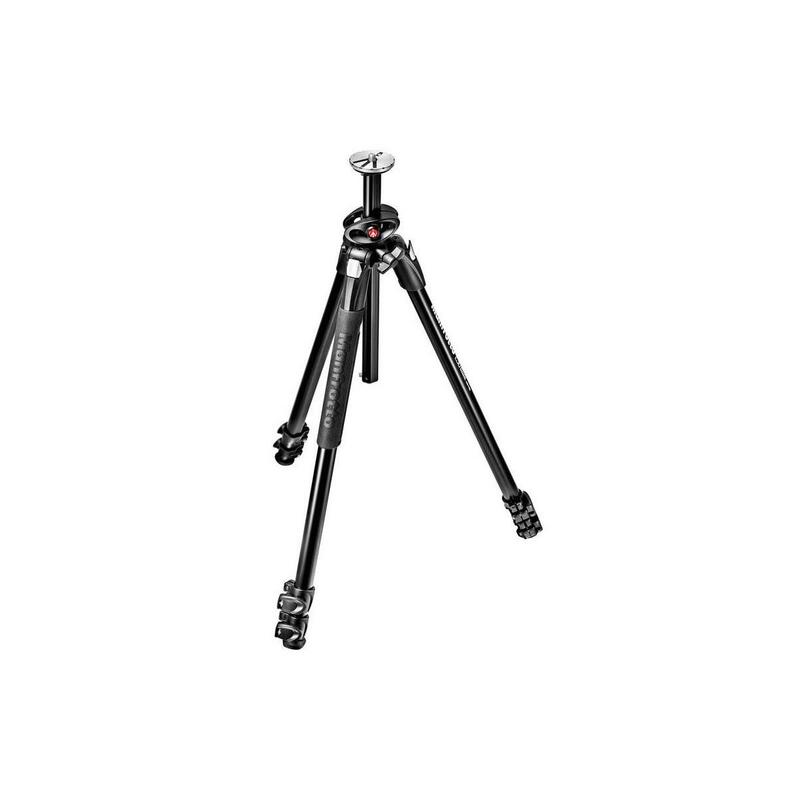 But, as I mentioned above about tripods, I want to be able to set it up fast and easy, so I use a similar Manfrotto monopod with the quick-release “flip-style” leg locks. To this, I simply add an appropriate ball head from Really Right Stuff… see “Tripod Heads” below. I don’t have a dedicated ball head for the mono-pod. I rob one from another tripod when I’m going to use the monopod. 1. I HIGHLY recommend getting a head that has removable plates rather than a head that does not. 2. I HIGHLY recommend that those plates are NOT to be specific to a particular brand of tripod. Get plates that are “arca-swiss” compatible. 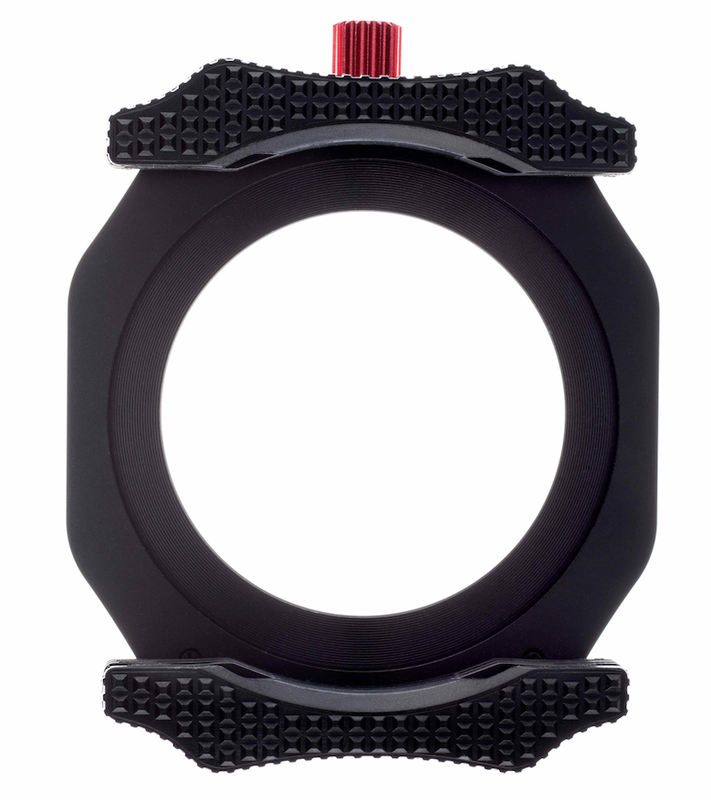 (Arca-Swiss is a sort of “standard” that many tripod head companies have adopted. Read about it here: https://photographylife.com/arca-swiss-quick-release-system). You will never regret it. Too many times I’ve seen photographers needing to switch tripods with other photographers and their plates are not compatible. 3. Buy plates for EVERY camera and lens (that has a tripod collar) that you have. Don’t try to save money thinking the plates can just be switched over. You’ll regret this decision as there will be a time when you don’t have the time to switch or don’t have a tool or some other issue—and the shot will be missed. I see lots of people frustrated over this. 4. Some ball heads come with a “clamp” that cannot be changed. The clamp (aka: mounting base) is what the camera actually sits on. Some manufacturers give you options on what combination of ball head you want with the clamp. Think about that as you review ball heads. 5. Many clamps on the market come with a round “screw-knob,” which is how one tightens the camera plate down by twisting it like a screw. I don’t care for these. I can’t always get them tight enough when I have a heavy lens. When I get them too tight, they are hard to twist to loosen. Likewise, if my gloves or hands are wet from rain or snow, they slip. It’s frustrating. The manufacturer Really Right Stuff has a great solution for this with their “lever-release”. See below. I use the BH-40 Ball Head. I have 3 of these on various tripods. It’s a medium-weight head and will handle equipment up to 18 lbs/ 8 kg. It’s only 3.1” / 53 mm tall and weighs in at 15.7 oz./ 445g. 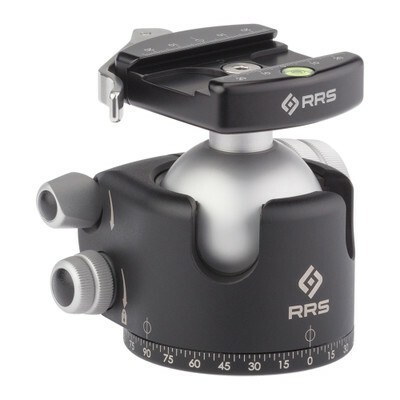 There are three knobs to control 3 functions: friction/drag, panning and the main-lock lever for the ball. I appreciate the main-lock design as it’s NOT a round knob that can be hard to tighten. The main lock is a T-style so that you can get a grip on it. 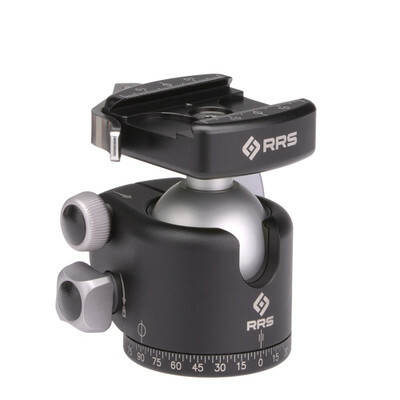 Clamp— I use the clamp from RRS which has the full-size clamp size and the “lever-release” on the clamp. This is FANTASTIC. It’s very fast to operate and it also is solid and secure. What I also like about the lever style is that, when the lever is open, the “jaws” are wide open and I don’t have to slide the camera plate into it. It just drops in from the top. And this saves a ton of time fumbling with getting the plate and clamp lined up just right like you’d do with the screw-type knob. This works especially well at night. I love it!! SMALL & LIGHT: I also use a tiny BH-25 ball head as well. It’s the same as above but a lot smaller and lighter. I use this on a small backpacking tripod if I’m going to go light weight. HEAVY DUTY: If you have big, long lenses, then you’d be better off with the monster BH-55 ball head. I’d still get it with the lever clamp. This head only comes with a screw-type main lock, but it’s big enough to get a good grip on. 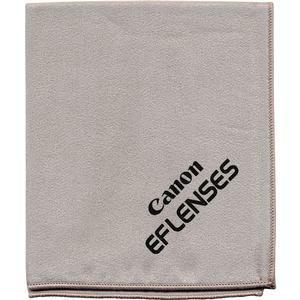 For general camera plates, ones for a fairly small lens or camera, I suggest using ones from Breakthrough Photography – the same people whom I recommend for many of the filters I use. What I like about these is that they are inexpensive and they are solidly built. See them here. However, if you’re wanting a much better fit for the camera, then using a custom plate from Really Right Stuff is for you. L-Bracket Plates: For the serious landscape photographer or anyone who is shooting using a tripod, I HIGHLY recommend buying an L-bracket (aka: L-plate). 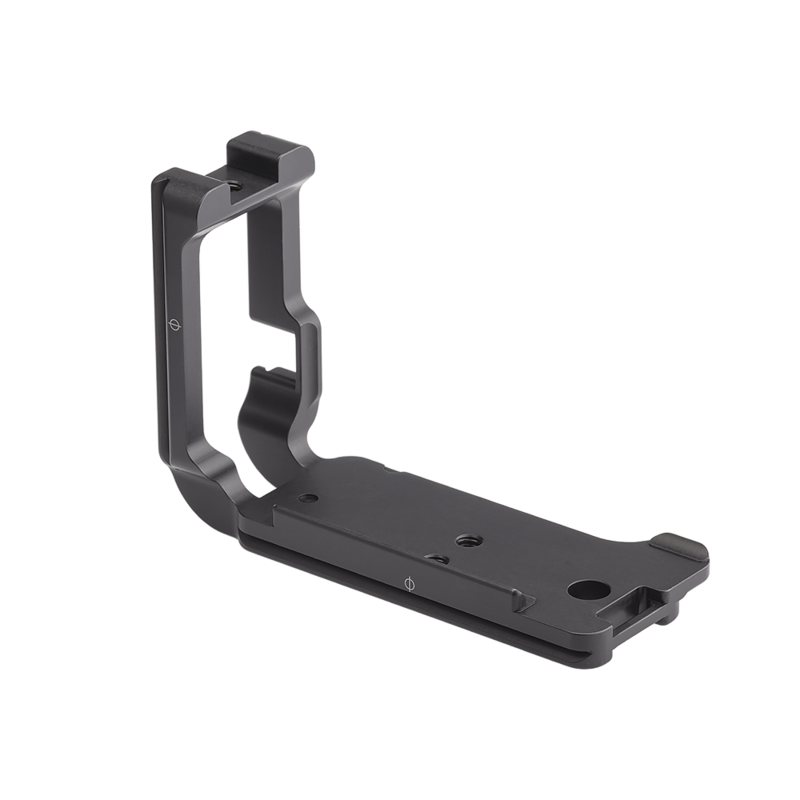 The L-bracket is a quick-release plate made at a 90 degree angle that allows one to attach either the bottom or the side to the tripod. The beauty of the L-bracket is that when you want to go from a horizontal to vertical shot, or vice-versa, you do not have to change the head position at all. You simply put either the bottom of the camera on the tripod for horizontal composition or the side of the camera for a vertical composition. This allows for the tripod to remain sturdy on the ground as apposed to flopping the camera off to the side of the tripod. It also allows one to get the exact same perspective from both the horizontal and vertical compositions without readjusting the tripod head. For some, filters are too complicated to know when to or when not to use. For others they rely on post-processing of their images and do as many creative aspects of their photography in Lightroom or Photoshop or another photo-editing software. I’m of the opinion that if I have the time, I prefer to get things right in the camera from the beginning and then use post-processing to make the image that much better. There are a myriad of filter companies and types of filters one can use. This section will only be about the filters that I use personally and why. First—I do not use any protective filters on the front of my lenses. NO UV, skylight or the like. It’s just one more degrading optic in front of the lens. I’ve spent too much time unscrewing them when I want to use other filters or holders OR I’ve put another filter on over this protective filter and then could not get them apart. Also I can’t find the filter when I want it. The front element of the lens really does not need that much protection. In my 35+ years as a professional, I’ve had dozens of lenses that I’ve treated like tools–poorly. In all that time only one front element had to be replaced because it was scratched too much. Don’t waste the time, money and effort on protective filters. Removing reflections from glass – if shooting through a window that you cannot open, a Polarizer will help, but may not eliminate 100% reflections. Likewise, if you’re doing photos of the outside of store fronts, a polarizer can eliminate a lot of the reflections of the street the store is on, therefore allowing the camera to see into the window display. Removing reflections from water. A polarizer is a GREAT tool here to make your images of streams and lakes much richer and pop and be able to see into them, instead of the sky reflecting on the water. Likewise, even with water on the top of a leaf, a polarizer will eliminate that reflection and make the leaf look better when it does not have reflections on it. Reducing Haze. A polarizer can cut through haze and create a much more crisp and contrasty scene. Adding Contrast. A CPL will add contrast between clouds or mountains on blue-sky days by making that blue sky darker, more blue. CONS — There are drawbacks from using a polarizer. Be careful when using a CPL filter on an extremely wide-angle lens. You’ll often find that one side of the photo is much darker than the other. In landscape photography with a lot of blue sky, I try not to use a lens wider than 35mm. When using a CPL during a sunset, it will likely cancel out some of the orange/pink sunset colors. This happens because much of that warm color comes from light bouncing off of particles in the air or smog. And the reducing-haze affect of a CPL will make sunsets more cool looking. Good or Bad, a polarizer will typically reduce the amount of light by about 2-stops. This is great when you want longer exposures with water but is bad if you need light to stop action. You do get what you pay for. It’d be a shame to put poor quality glass in front of your expensive lens. Polarizers can be had for anywhere from $20 USD to $500+. Therefore I suggest doing research on what is the better polarizer glass before buying a polarizer. I’ve done some homework on this, and below are the polarizers that I use. What Polarizer Filters do I use? I have screw-on circular polarizers (CPL) made by both Singh-Ray and BreakThrough when only using a polarizer and no other filters. 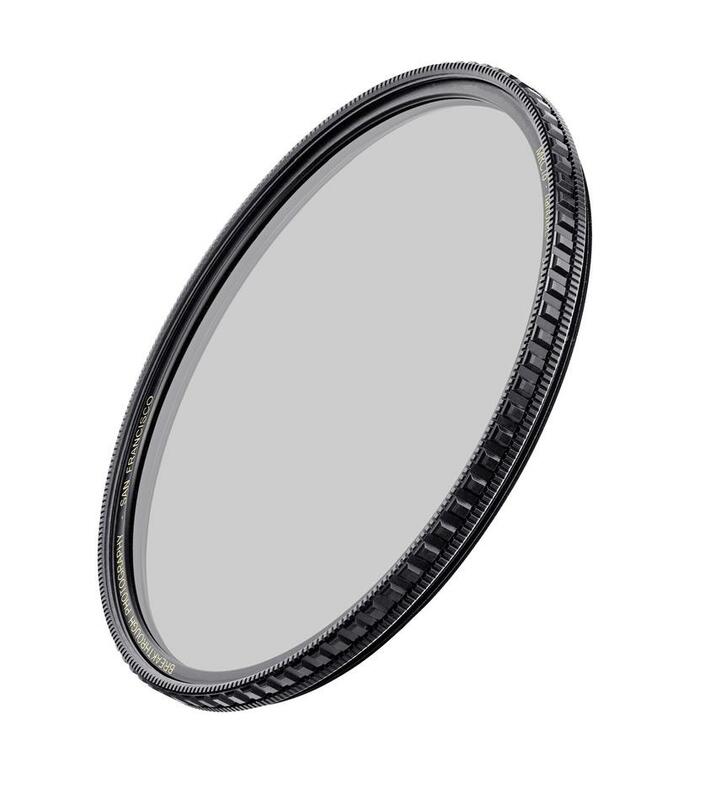 Graduated Neutral Density filters (GND) are filters that are dark on the top (allowing less light in) and clear on the bottom (allowing for normal exposure). These are typically used when there is bright sun on the background and the foreground is in shade. 2. Use the graduated filter in Lightroom or other post-processing software. I and others who want to get the very best we can in the camera on one frame use GND’s. Therefore, when I have the time, or the subject matter dictates it, (moving subjects or too much of a dynamic range of exposure or when wanting to use other filters as well) I’ll use GND filters. I use Breakthrough glass GND Filters for most of my GND work. Breakthrough Filters use Schott Glass and as such are very sharp, color-correct and they offer a money-back guarantee and free shipping. Read about them and order direct from them at Find them here. I also use the Blackstone GND filters from Wine Country Camera. These filters also use Schott Glass and as such are very sharp, color-correct. See those here. When looking for extra-long exposures, such as silky water, moving clouds or the like, it’s necessary to reduce the amount of light getting to the camera sensor in order to increase the length of time the shutter is open. To do this, a neutral density (ND) filter is necessary. 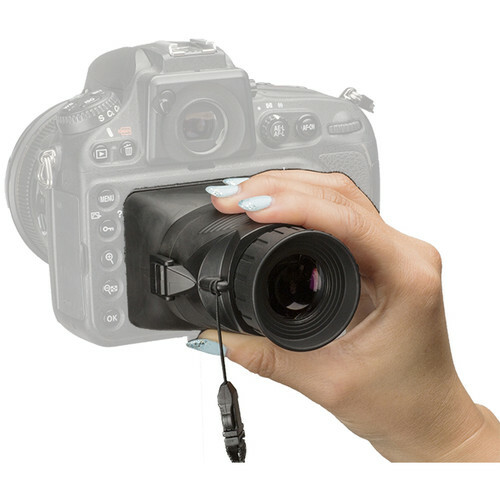 ND filters come in both the round, screw-in type as well as in a square shape that requires a filter holder. NOTE: When using any ND filter on an extra-long exposure, it is imperative that any potential for light leaking around the filter and into the lens be eliminated. If it is not, there will be a bad light streak that is impossible to correct for. It is not a problem at all to eliminate light leak when using the round, screw-in type of ND filters. But, as the round, screw-in filters work fine when just wanting to use the one filter, if you wanted to combine filters, (either a polarizer and/or GND) then it becomes easier to use the square type. Eliminating light-leak with square filters can be a problem. See what I have to say about filter holders below. 1/2000 1/250 1/60 1/2 15 sec. For either Screw-on or square ND filters, I use Breakthrough glass ND Filters for most of my work. Read more and order them direct from Breakthrough in San Francisco with free shipping and a money-back guarantee here. I am also a big fan of the Blackstone square ND filters direct from Wine Country Camera. Breakthrough X100 Filter Holder: When I am using ONLY one or two graduated ND filters, which is quite often, then I will use the Breakthrough filter holder system. They are very well made and work well. The filter holder is small and lightweight. That and their price make it an excellent choice. And the price of their filter holder rings to hold the filter holder are quite reasonable and again very well made. Find them here. Wine Country Camera: When I am looking to use more than one type of filter, such as a GND with a polarizer or a polarizer with an ND filter or GND with a polarizer and an ND, then the Wine Country Camera filter holder is the ONLY holder I’ve found that will do the best job and do it very efficiently. And there is no chance of getting a light leak using the Wine Country Camera filter holder. It’s really the best one on the market. For a complete story on my thoughts on using these filters and filter holders, Read the full article on my blog here. Here’s where you can order the Wine Country Camera Filter Holder and filters, too. As with any gear where there are a lot of options, I suggest first going to a camera store or photo show in order to be able to test well and see what you’re buying. 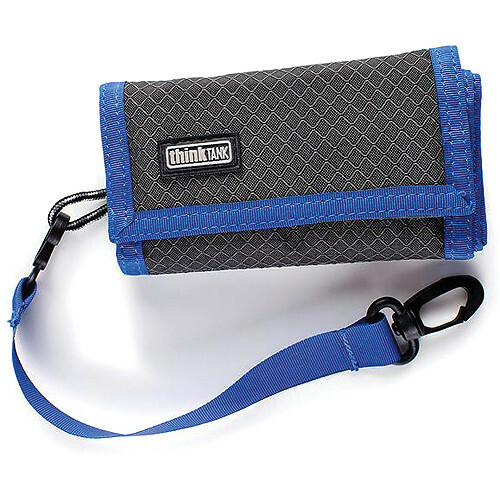 But, if you can’t, I’m a big fan of the packs and bags from ThinkTank and Mindshift and use a lot of their gear. They seem to have something for everyone. Lots and lots of options. I especially like the variety of packs and cases they offer. MindShift & Think Tank are offering readers of mine FREE gear and FREE shipping (on orders of $50 or more) when you use this link or any of the links below for their gear. Main Pack: I use the Moose Peterson MP-1 V2.0 pack by Mindshift/ThinkTank in my truck to carry nearly all of the gear I need. The pack is huge and when full, it’s not light. I also use this to travel on the Iditarod. I do not use it to hike with. Hiking Pack: I do a fair amount of hiking with my photo gear. I finally found a combo pack/camera bag that I’m pretty happy with. It starts out very lightweight and has room for a few lenses, body and flash while still allowing a substantial amount of room for food and clothing. I always carry one body & lens around my neck and then use the bag to hold just one or two additional lenses and maybe another body & flash. This is NOT a pack that is just made for carrying gear. It’s meant to have room for a lot of personal gear. I wish there were more exterior pockets, but that is something that I’ve customized and added to it. It’s the Mindshift “ultralight dual 36L”. General Pack: The Mindshift “BackLight” pack series is a most popular pack and great when it’s all about bringing all the gear. This is a great pack for general transportation of gear. There are also a good number of pockets on the outside for personal gear, too (jacket, food, etc.) I would choose the largest of them, the 36L. The cool thing is that you don’t have to take the pack off in order to access all your gear. Quite unique. Several of my photo tour clients use this and are happy with it. OK, I Know what you’re thinking… a photo vest looks dorky. And isn’t that old school? Well, maybe so. BUT, here’s what I have to say about that: I have been using a photo vest for decades so I have a hard time shooting without one. And here’s why: I want to work as efficiently as I can when I’m on assignment or shooting for myself. Too many times I’ve not had what I needed at my finger tips and it’s caused me to miss important shots. By having what I feel are the “essentials” always with me, I can create better images, more quickly. There are also times when I’ve put my pack down and then walked off some distance only to realize I need something and must go back to find it. It’s important to note that when I’m shooting an assignment or some other serious scene, I almost always have two bodies with me. One with a wide angle zoom (either the 24-105mm or the 16-35mm) and one with a telephoto zoom (either the 70-200mm OR the 100-400mm) Here’s the “essentials kit” of gear I have in my vest pockets. This gear always lives in the vest, is never not there. And the gear is always in the same pocket—so I can find it quickly. Appropriate filter holders and lens rings for the above GND’s and ND’s. Hoodman Magnifier to be able to see details on the LCD screen. There are many vests on the market. I use a Domke Vest. I like it because it has both zippered and flap pockets and lots of them. I’ve had the vest modified a number of ways with extra pockets as well as reinforcing some of their pockets, which I find wear out way too quickly. I use both small portable strobes/flash units as well as studio strobes. Because of their compactness, light-weight, ease of use and portability, I try to use my small Canon flash units whenever I can—Typically for landscapes and location portrait lighting. I use the larger, heavier, but much more powerful studio strobes for longer assignments, indoor portraits and where I need a lot of power. 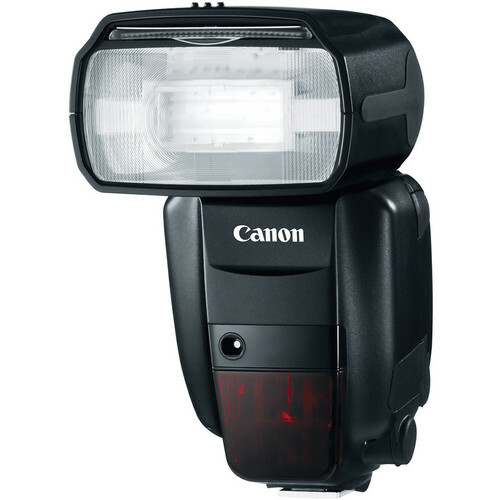 Portable Flash: I use the Canon 600EX RT Flash units with the controller. I have three of these and I use them to light both environmental portraits as well as some landscape images. These units pack a powerful punch. It covers an angle of 14mm to 200mm. They are a jewel to use, especially when using the wireless ST-E3 transmitter. With that transmitter I can control the flashes right from the camera. They are not cheap, but they work very well. And when adding modifiers to them, like grids, spots and gels, I can create some unique lighting that takes my photography a notch higher. GND and ND Filter Carriers I use these effective filter cases, called “Filter Hive” from Mindshift/ThinkTank for my square and rectangular filters. Either the mini or the hive depending on how many filters I have. Hoodman Magnifying Loupe This is a must-use tool for checking critical focus while in the field as well as composition. It has built-in diopter for those of us who use glasses. Pixel pocket rocket — This is handy for having all of my media cards in one place. Even though SD cards are smaller and lighter, I prefer to use the larger CF (Compact Flash) cards. I find them easier to find when dropped and more durable. 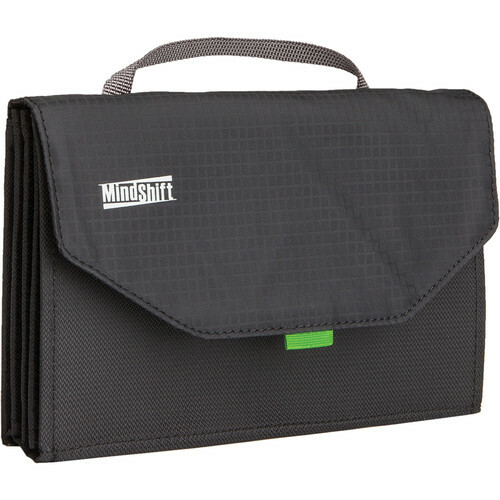 You can get pocket rocket free as one of your gifts when you order a pack or bag from ThinkTank/Mindshift. Or get it here. Jeff says: I believe a stunning image is a stunning image. Most times it’s more about the light and most especially about the composition than about technique. Surely one needs to use the science of photography (shutter speed, ISO and indeed the F-stop) in order to make proper images, BUT it’s not all about that. New York photographer Jay Maisel has been hailed as one of the most brilliant and gifted photographers of all time. 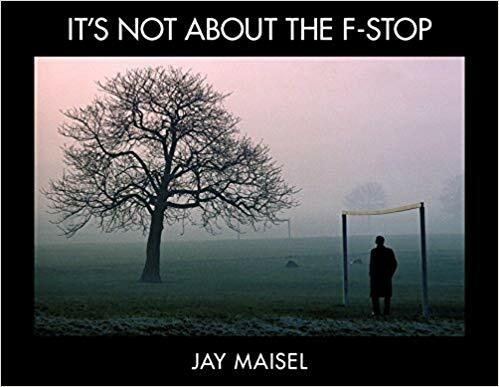 Here, in It’s Not About the F-Stop, Jay takes you beyond the buttons and dials on your camera to teach you how to “see” like a photographer, and how to capture the world around you in a way that delights, intrigues, and challenges the viewer. 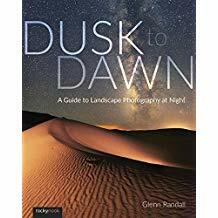 Dusk to Dawn—A Guide to Landscape Photography at Night — by Glenn Randall e-book and paper edition. Jeff says: I had the pleasure of attending a landscape photo workshop by Glenn Randall at the Santa Fe Photographic Workshops in 2018. I chose this because of Glenn’s methodical understanding and use of the “Science” of photography to make the best images. In particular is his diligent use of scouting locations and the tools used to predict the best time for light and sun throughout the year in any given place. Glenn does a fantastic job explaining the science behind the optics and camera functions as it relates to night sky. And he also does a very good job explaining how to forecast when the stars will align with foreground subjects you want to shoot. 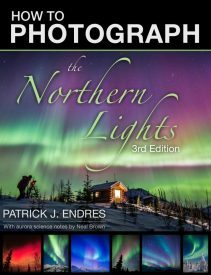 I think it’s a VERY well done book and highly recommend it if you already do or want to learn night sky photography. 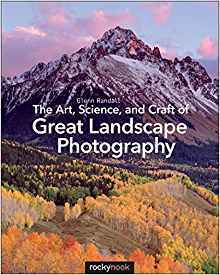 The Art, Science, and Craft of Great Landscape Photography by Glenn Randall e-book and paper edition. Glenn does a fantastic job explaining both the art and the science behind making good landscape photography. To me, image “editing” means culling out the bad images and keeping the good. Image “processing” means adjusting the photo to looks its very best. Two separate processes. I edit/cull my images to the very best and then caption them. Then I process just the very best. Image Downloading Software — I use the Breeze software, “Downloader Pro” to download my images. It’s an extremely fast and easy way to rename the files to a system that I use, organize to particular folders and caption all the images as they are downloaded. Read about it and download it here. Image Editing Software – I use BreezeBrowser Pro software to do my initial editing/culling. I also use it to caption the images. I may be old school, but this software to me is much faster to load images with the ability to see 4 images at a time when deciding what the best image is. It’s fast and efficient. Certainly you can do this all in Lightroom and many, many photographers do. I don’t. I find it faster and more efficient to use Breezebrowswer Pro. Sadly, this software is PC based, but I run it on Parallels software on my Mac. BreezeBrowser Pro can be seen and purchased here. StarTrail Software: When doing multiple exposures of star trails and then merging them together to get longer streaks, we use the freeware called “Star Stax”from Markus Enzweiler. Get it here.